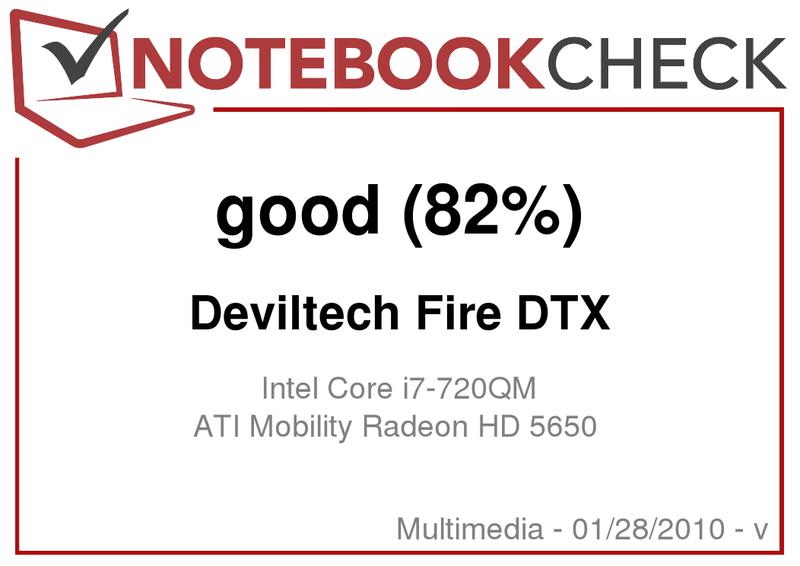 DevilTech has given us its latest creation to test: the Fire DTX (Compal NBLB2) with brand-new ATI Mobility Radeon 5650 graphics. Having already carried out the first benchmarks, we now examine the machine itself from top to bottom. Its name should be the first clue as to what sort of notebook and clientele we are dealing with here. You guessed it - gaming! The Fire DTX is relatively affordable, for a machine whose hardware has been selected with one purpose - gaming - in mind. According to the DevilTech website our test model would have cost €997, hovering just below the €1000 mark. Despite the rather bold brand name, the design of the machine itself is restrained. Thankfully there are none of the flame patterns on the lid or palm rest that you might have been led to expect. Its colouring is also a cool, classic black and grey, rather than a fiery red. Nor are there any grounds for complaint in terms of hardware. The Fire DTX is well equipped with a four-core Intel CPU, a 1.6 GHz Core i7 720QM with Turbo Boost technology. 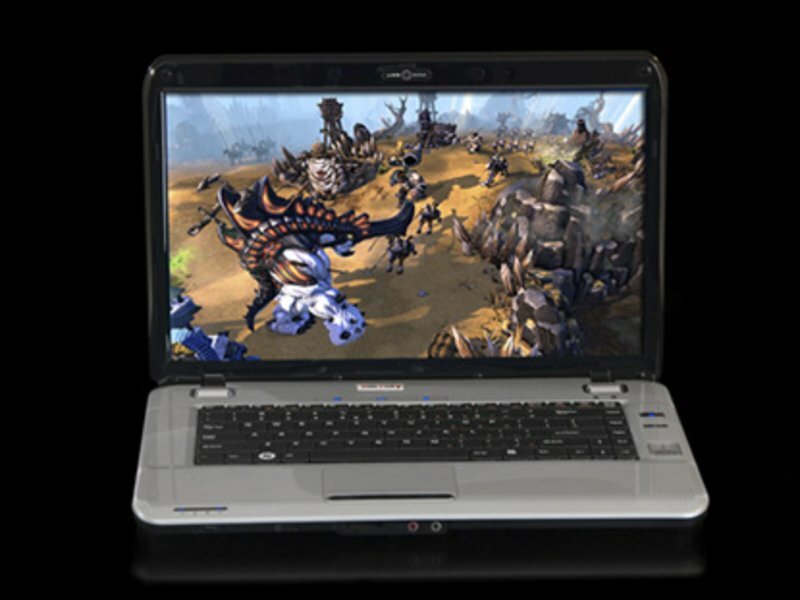 This 15.6-inch gaming notebook from DevilTech also comes with the new ATI Radeon HD 5650, with 1024 MB DDR3 RAM and DirectX 11 support. For a comprehensive gaming test of the new ATI 5650 graphics card, click here. 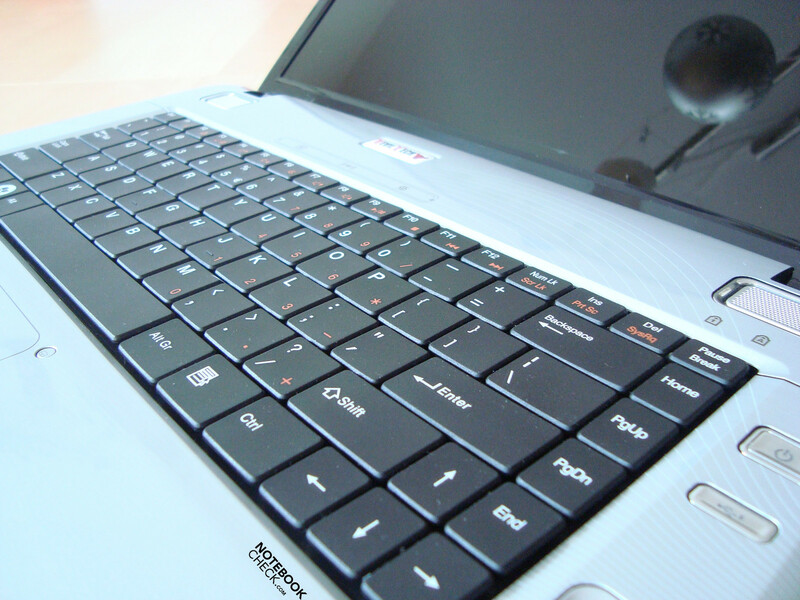 Before we scrutinize the hardware performance, we will take a look at the case and its quality and robustness, also important factors to consider when buying a notebook. It is composed entirely of plastic, which is generally the case in this price range. Nevertheless, the case is easily rigid and robust enough to withstand being lifted up by one edge without distorting. The case is also very resistant to pressure applied in specific places, with two exceptions. The first is the lid, which gives way noticeably under pressure. However, this same problem affects the laptops of many other noteworthy manufacturers; it is a weak point with almost all plastic cases. 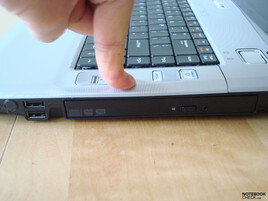 The second is the area above the optical drive on the left side of the notebook, which gives way with a creak when subjected to direct pressure. It seems there is too much space between the case and the drive, as you can clearly see from the photos below. Other than this there are no issues in terms of robustness. A weak point of the Fire DTX is the area above the DVD drive. This gives way under direct pressure, visibly and audibly. As already mentioned, the 15.6-inch notebook has a very classic look, despite being a gaming notebook with the name 'Fire DTX'. There are no striking flame patterns, colours or even flashing lights, which in our opinion is a definite advantage. The colours are so sensible that you could take the notebook along to a university lecture without immediately broadcasting the fact that you are a gamer. 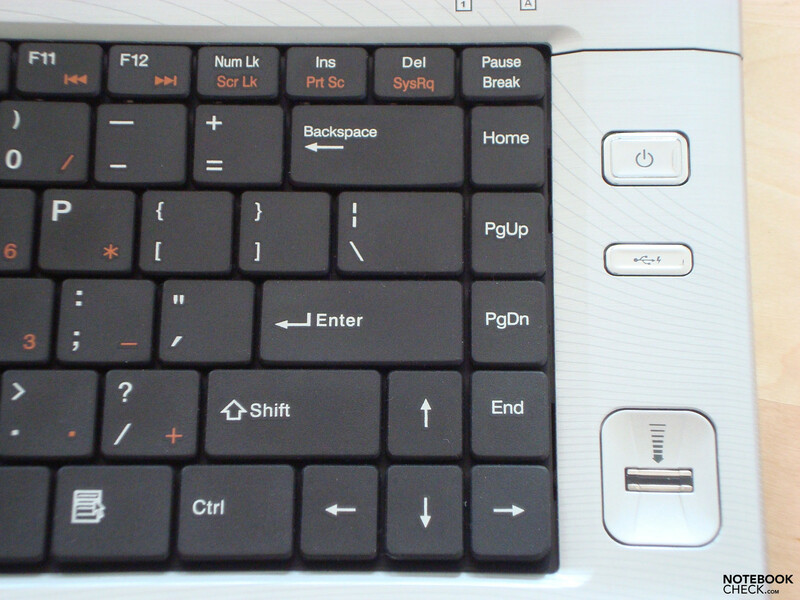 The back of the lid is completely black, while the palm rest area and the area around the keyboard are a silvery grey. 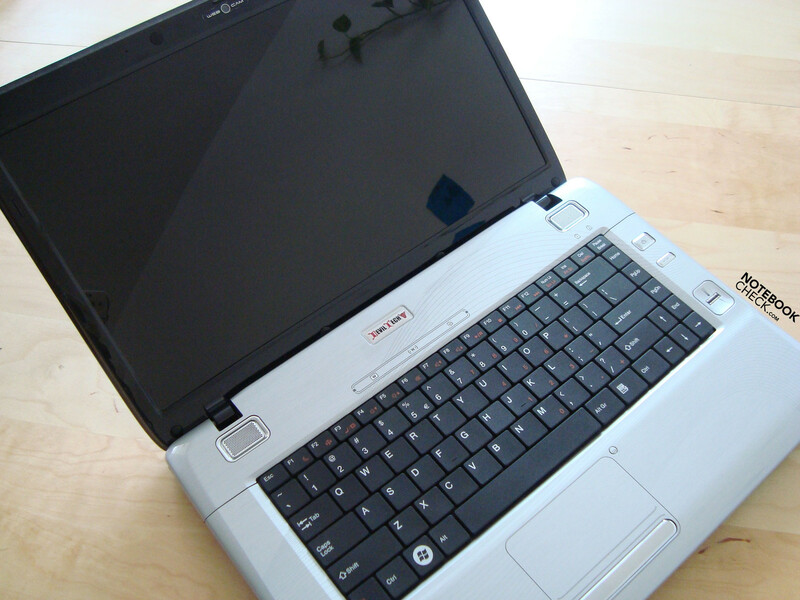 As with most modern notebooks, it has a high-gloss finish. So with its sober appearance, this notebook is a wolf in sheep's clothing; it may not have the war paints and diverse arrays of flashing lights that its rivals in the same price and weight category have, but it has nothing to be ashamed of in terms of performance. DevilTech seems to have economized somewhat on connectivity. For instance there is no WLAN or Bluetooth adaptor (more of which later). 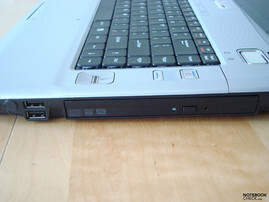 But the various basic ports such as USBs, audio ports, LAN and modem connection are positioned all round the machine. On the front side of the notebook there is a switch for the WLAN adaptor, which is available as an option when you customize the machine. There is also a card reader (3 in 1) as well as audio in and out ports. 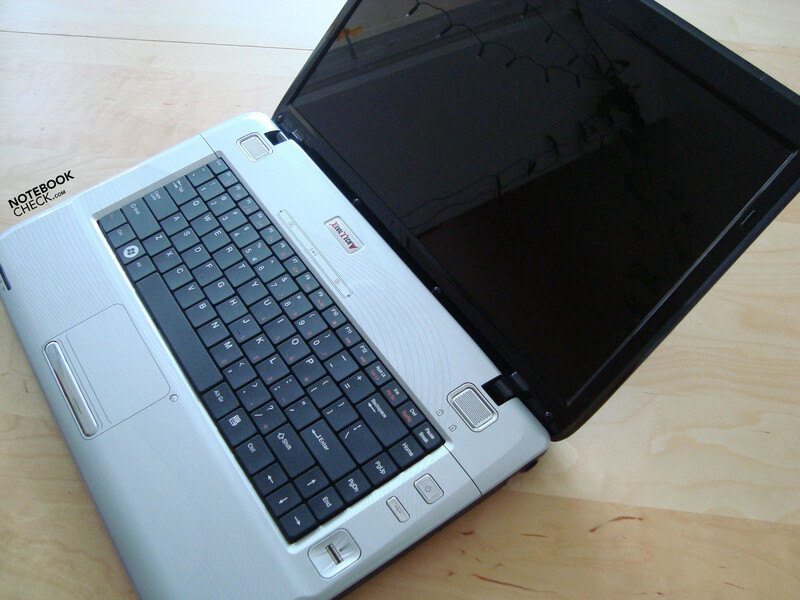 The back of the notebook is mostly taken up with the long battery; but to the left of it there is also a modem port. The remainder of the ports are located on the sides of the machine. On the left there is a Kensington lock slot, followed by a USB port. Next to this is the air vent, which is best left unblocked to avoid overheating, especially when the processor is under stress. Also on the left are the LAN port and an analogue VGA connection. 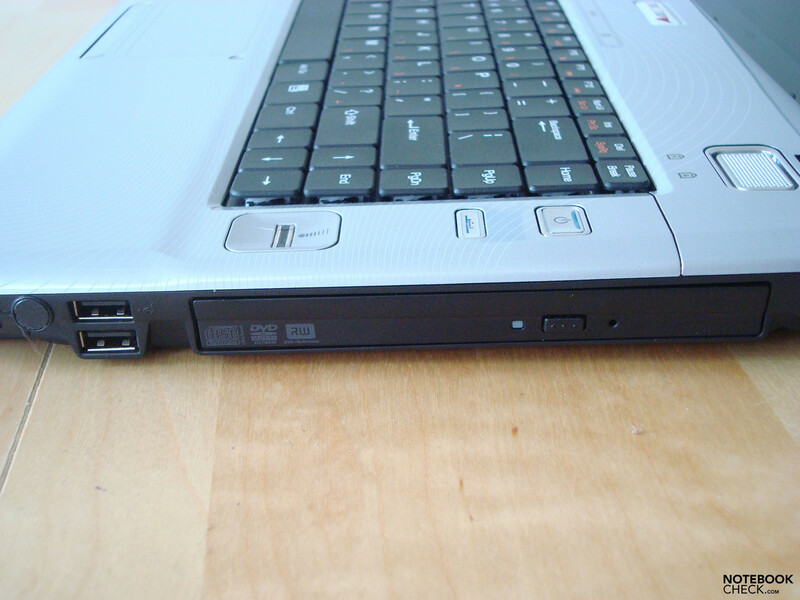 Last but not least, the HDMI port can be found nearest the front of the laptop. The right-hand side is taken up with three further USB ports, the DVD drive and the socket for mains power. 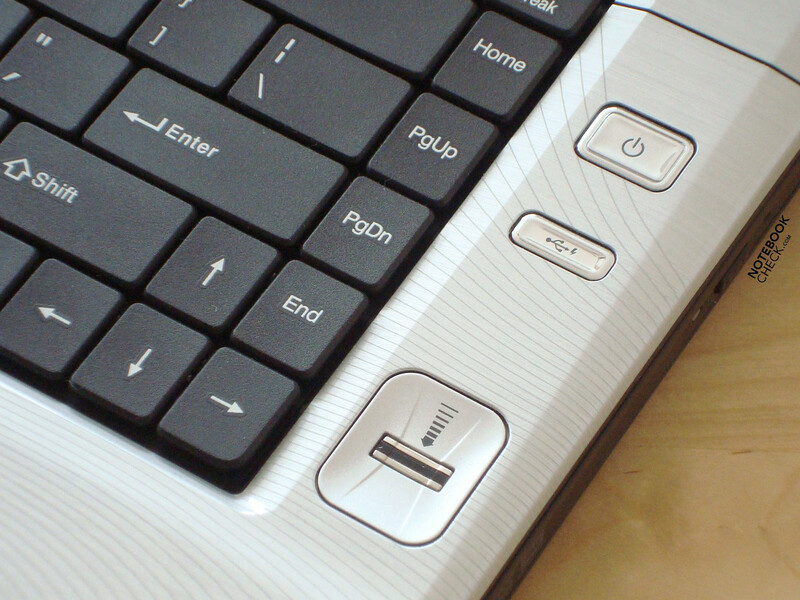 The fact that all four USB ports are positioned on the sides and towards the front of the laptop is a potential area for criticism, since you will have to have cables lying next to the machine and they will get in the way. 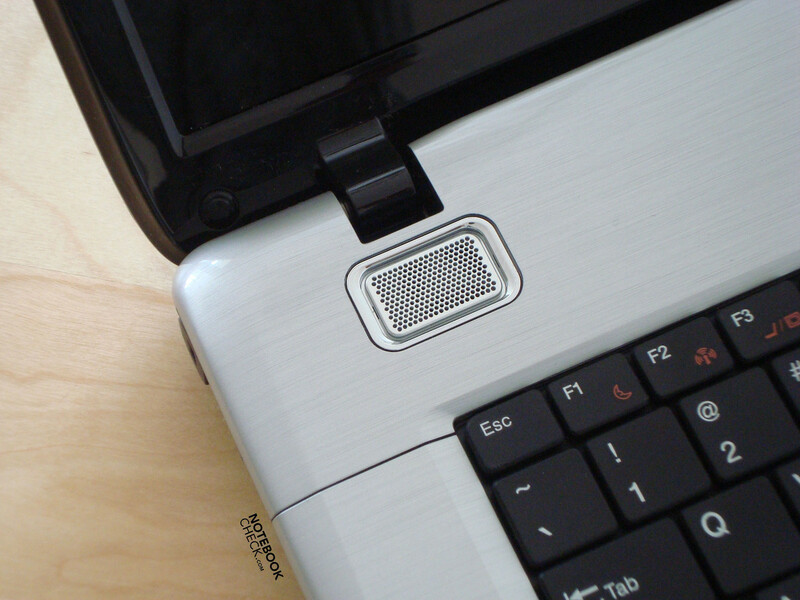 To the right of the keyboard you will find the notebook's on/off switch, along with a fingerprint reader to protect your system from prying eyes. The Fire DTX also has an integrated array microphone and webcam, positioned centrally on the top of the screen bezel. This should simplify audio-visual communication with friends and relatives over the internet. Unfortunately we were not able to establish a wireless connection via a WLAN adaptor. Looking at the manufacturer's website, we found that the Fire DTX does not come with a WLAN module as standard. As such we assume that our test model does not have one. Those of you wanting a Fire DTX with a WLAN adaptor may (or rather must) purchase the Intel Wi-Fi Link 5100AGN module for €25, or the Intel Wi-Fi Link 5300AGN module for €39, when customizing your machine. For €10 more you can also get a Bluetooth 2.1 module. For further information see the DevilTech website (German). And now to the input devices of the Fire DTX. It does not have a separate number block, which is of course a good thing for the size of the main keyboard. We found the keyboard to be convincing and pleasant to type with; it hardly flexes at all under pressure and the keys do not clatter loudly. However, there has been a small oversight which will take some getting used to: the left-hand control key, an important one for gaming (particularly first-person shooters), is not where it should be. It is one key further to the right, and in its place is the Fn key, used to control various functions such as volume or screen brightness. Likewise, to start with we had problems with the one-line enter key of the English keyboard layout in this (pre-production) model, as we often hit the key above it accidentally. But after a few days of getting used to it, it was no longer an issue. 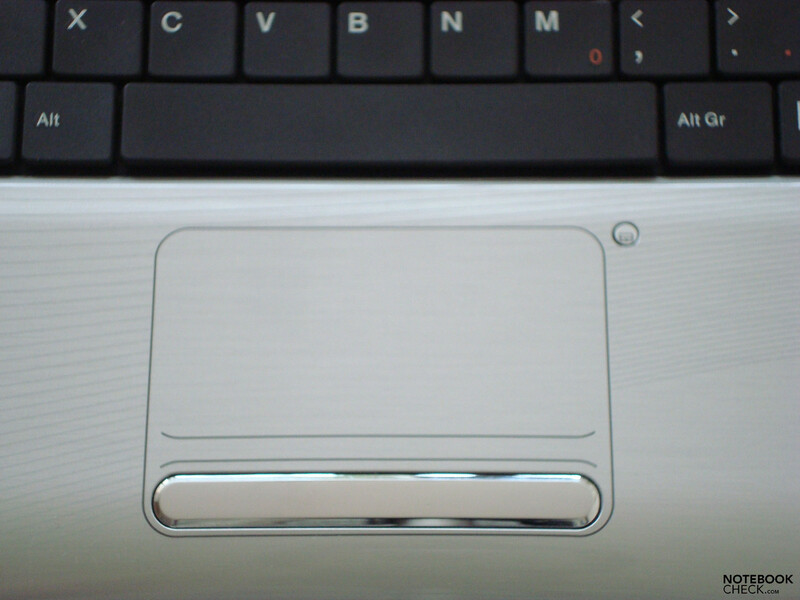 The touchpad is below the keyboard, offset slightly to the left. It is a smooth surface which merges seamlessly into the palm rest area, without any border that you can feel. Your finger may occasionally leave the touchpad without you noticing it, making you wonder why the cursor isn't moving anymore. 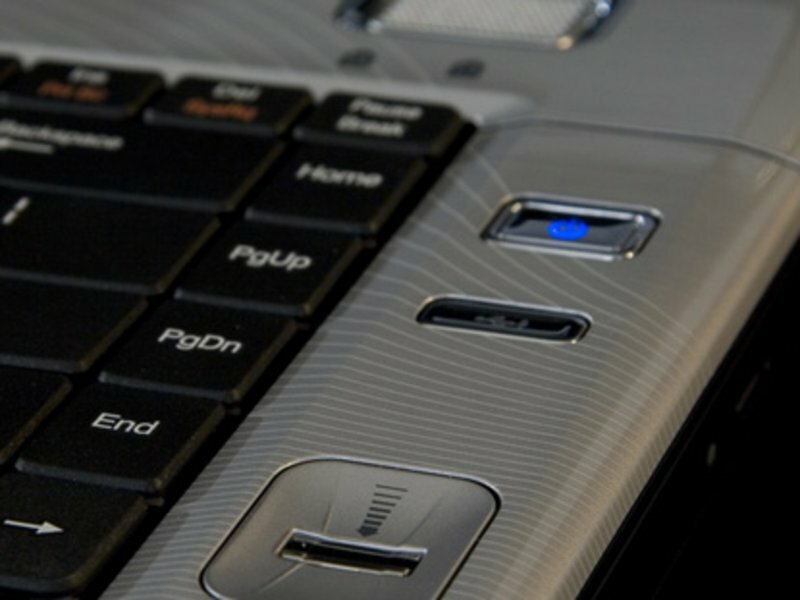 Just outside the upper right-hand corner of the touchpad, there is a button for turning it on and off. 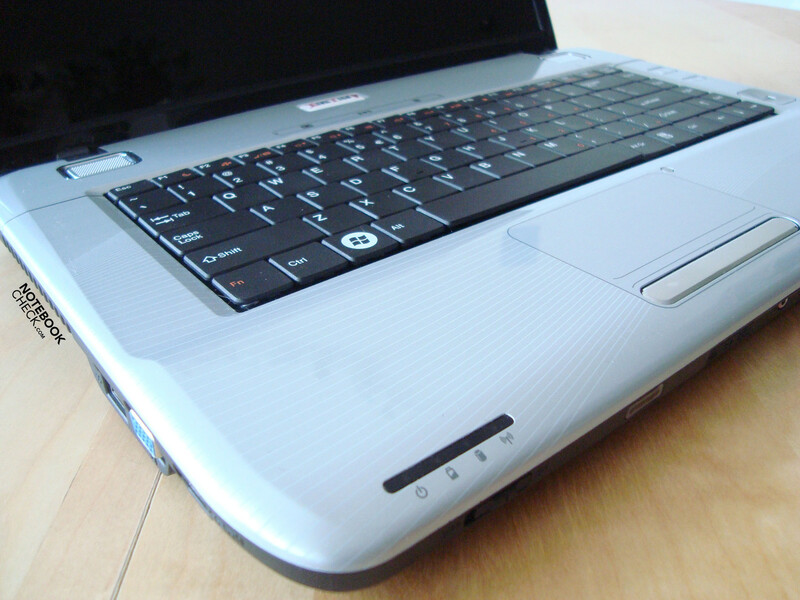 Immediately beneath the touchpad, the two touchpad buttons have been done as a single chrome bar. This fits in well with the glossy, silver-grey palm rest area, and with the design of the notebook as a whole. 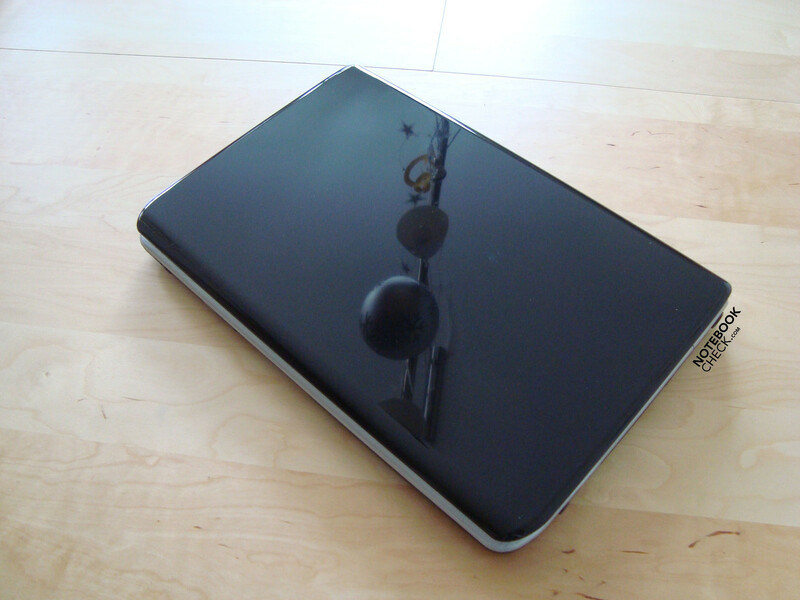 As for functionality, the touchpad and buttons work accurately and without issues. 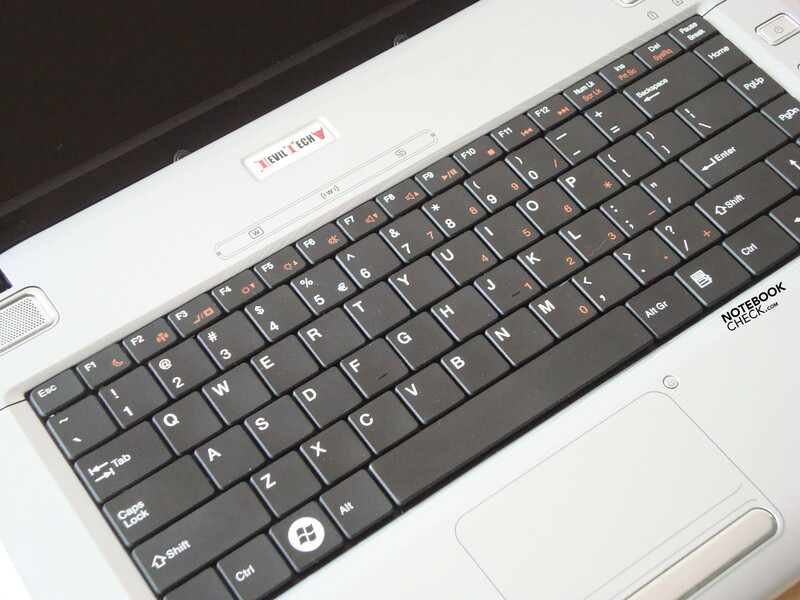 The touchpad is responsive, without long delays or misreadings. 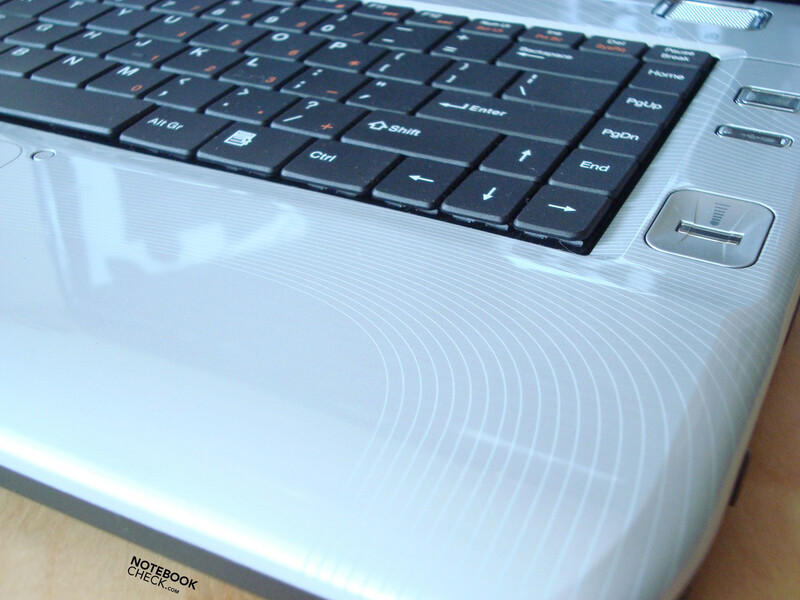 The only complaint could be that the chrome surface of the touchpad button very quickly attracts fingerprints. The Fire DTX's 15.6 inch screen is also impressive. The glossy, full HD, widescreen display with LED backlighting had no problems winning us over, along with the ATI Radeon HD 5650 graphics. 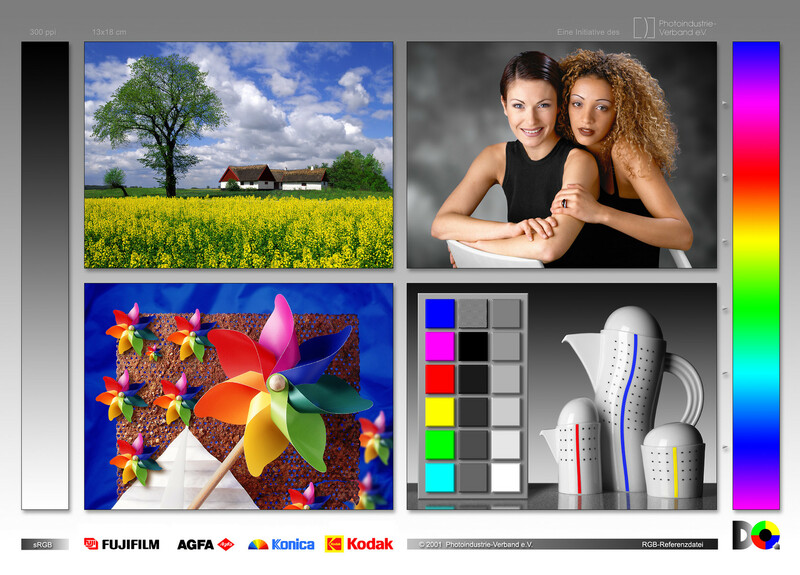 The pictures were razor sharp, the colours rich and vibrant, and all that with a maximum resolution of 1920x1080. The above-average screen brightness also deserves a mention. With a top value of 294 cd/m² in the bottom middle screen segment and a low of 195.1 cd/m² in the top right corner, the brightness does vary quite a lot across the screen; but the uneven distribution is barely, if at all, noticeable with the naked eye. However, despite the excellent screen brightness, using the Fire DTX outdoors is not really an option, as even minor light sources behind the user will produce reflections on screen. On the other hand, the glossy display is an asset when gaming or watching DVDs, and works well in conjunction with the high resolution and the high-performance graphics card. Such a high resolution is quite unusual on a screen only 15.6 inches in size. When playing first-person shooters like the new Call of Duty: Modern Warfare 2, where you often have to target enemies using a red dot sight, it does present something of a problem, as the red dot is very small when the resolution is 1920x1080. The same goes for the enemies themselves, which are hard enough to spot as it is amongst the grass, shrubs, trees and swirling leaves. As a result, finding enemies and hitting them is not at all easy (though lack of skill on the part of the tester may also have had something to do with it), and a one-hour gaming session at the highest resolution produced tired eyes and a headache. After that we had to decrease the resolution. However the frame refresh rate was perfectly acceptable, at an average of 35 fps. The screen also proved to be very obliging in terms of its viewing angles, in the horizontal direction at least. The colours lasted well, with the screen only starting to darken once the viewing angle was very small. Unfortunately the vertical viewing angles are not so generous. Dark patches appear very quickly, particularly when you tilt the lid back. The upper right corner of the screen is worst affected. This could be because of the low brightness in this segment compared to the rest of the screen. The Fire DTX is kitted out with a Core i7 MQ processor and the new ATI Radeon HD 5650 GPU with support for DirectX 11; a lot of power in a small package. We have already carried out a very careful review of the notebook's performance and suitability for gaming. Our article published on 28.12.09 about the new Radeon HD 5650 from ATI/ AMD contains detailed information and charts on a wide range of benchmark tests using a variety of games, as well as comparisons with other similar notebooks and graphics cards, and numerous practical tests on both modern and older games. 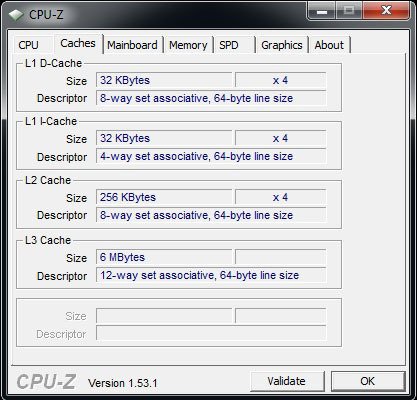 In that article the DirectX 11 properties of the Radeon HD 5650 with 1024 MB DDR3 memory were also tested and documented for the first time. It is important to make clear that performance-wise, the Fire DTX is a very solid notebook in its class. 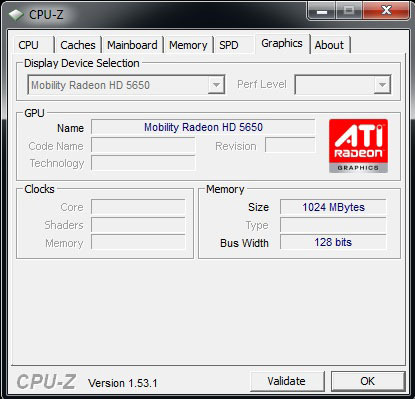 However, the ATI Radeon HD 5650 is not strong enough to render the latest games without making some concessions in terms of resolution or level of detail. The combined power of the Core i7 720QM processor, the 4 GB of DDR3 memory, and the Radeon HD 5650 GPU is simply not enough. If you want to play with virtually no limitations you will need a more expensive system that delivers higher performance. 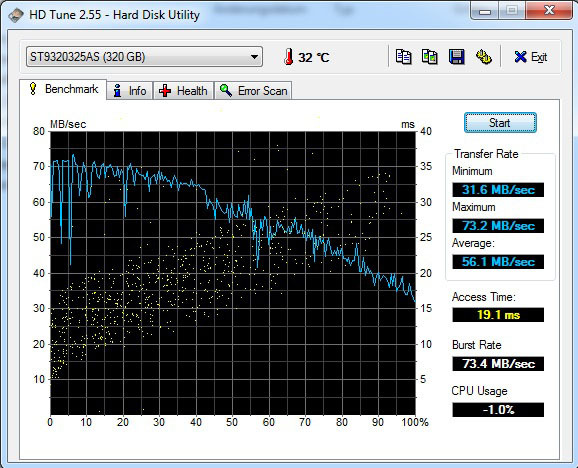 If you do buy the Fire DTX, we strongly recommend that you go for the faster 320 GB hard drive. The Seagate ST9320325AS (with only 5,400 rpm) in our test model does its job well enough, but nothing is more frustrating than a fast system which has to wait on the hard drive before it can process data. At an additional cost of only €29 it would most certainly be worth it. Here are a few games in overview which we tested on the Fire DTX. 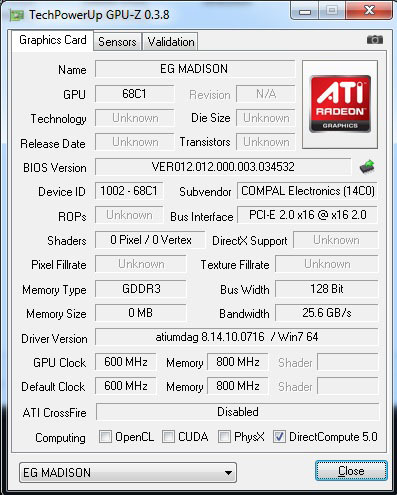 For a more detailed look, please read the article about the ATI Radeon HD 5650, which is based on the Fire DTX. The system noise of the Fire DTX in idle mode is certainly still in the green zone, with an average reading of 33.5 dB(A). However, even in idle mode the fan volume does reach a maximum of 37.7 dB(A) from time to time. Fortunately the fan noise remains constant for the most part, so it does not become intrusive or irritating. The picture is somewhat different when the system is under stress. We measured an average noise level of 43.3 dB(A), with a maximum of 45.7 dB(A) when the notebook was subjected to heavy use for an extended period. The whirring of the fan becomes clearly audible, but it is still just a background noise when you are gaming, overpowered by the sound effects and music of the game itself. The Fire DTX has got a lot of processing power under its 15.6-inch hood. The increase in temperature associated with this should not be ignored. 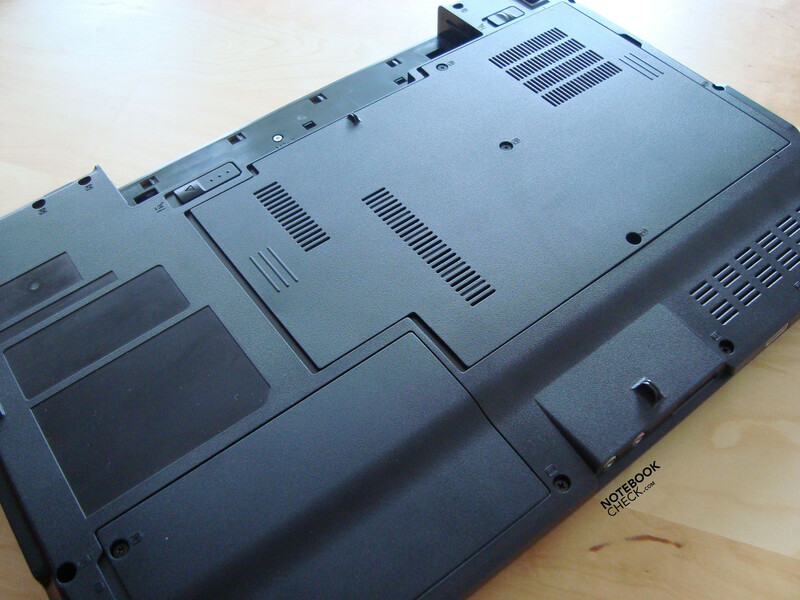 Keeping control of the temperature in such a small machine is a significant challenge for the designers of the notebook. The fan in our test model does not have an easy life. In idle mode with all energy-saving options enabled, the temperatures on the top and bottom of the notebook look very good. With a maximum of 33.7 °C in the left-hand middle segment on the upper side, it is easily possible to work comfortably. And on the underside too, we measured a top temperature of 32.8 °C, which is still comfortable. 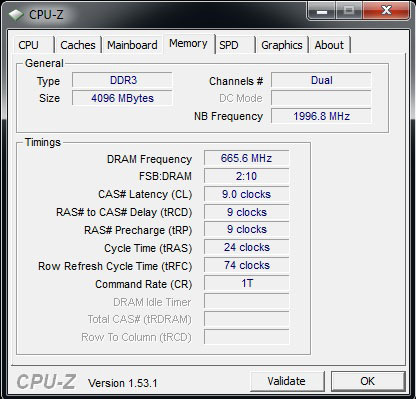 A gaming notebook, however, does not often stay in idle mode for long. So of course we measured the temperatures after many hours of play under constant heavy use, using the Furmark Stability Test and also Prime95. It was clear to us that it gets very hot inside the DevilTech Fire DTX, since the air coming out of the fan vent, which is positioned on the middle of the left-hand side of the laptop, felt very warm. But even so, the maximum temperature we measured on the upper side of the laptop surprised us somewhat. At 47.7 °C in the area around the air vent, the temperature when working under stress is extremely high. But it has to be said that we did not notice this 47.7 °C temperature while playing. On the bottom of the laptop it was significantly cooler, with a maximum temperature of only 42.3 °C. The measurements were taken with a room temperature of 23 °C. The integrated loudspeakers do their job very well, providing reasonable sound for when you are on the go. The sound quality is crisp and clear, and even at maximum volume there is no background hum. Sadly the bass is a little lacking, but on the other hand the maximum volume is excellent, perfectly sufficient for everyday mobile situations. Of course, it can only ever be notebook-quality sound, which will not knock anybody's socks off. There is no integrated subwoofer, a bad omission for a gaming notebook, but the manufacturers are, after all, only human, and have offered more than the requisite processing power for this price range and weight, along with the good connectivity and the high-resolution 1920x1080 screen. If you want better sound quality so as not to miss out on the atmosphere of your games, you will just have to connect the Fire DTX up to a speaker system or alternatively invest in suitable headphones. 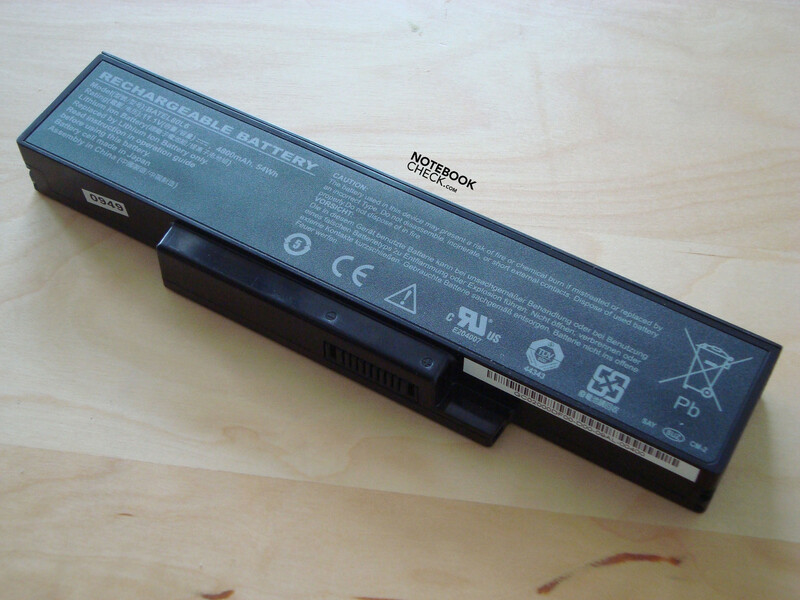 Although battery life is not the most important consideration for a gaming machine, it is always interesting to know how long the laptop you are planning on buying would last if you did happen to be on the move and dependent on the battery. The Fire DTX comes fitted with a six-cell lithium ion battery, with a 54 Wh (4800 mAh and 11.1 Volts) capacity. According to the Battery Eater Classic test, this is able to power the Fire DTX for 52 minutes, with a constant demand on the system and with the energy level switched to high performance, and the screen on maximum brightness. The Battery Eater Readers test, i.e. all energy-saving options enabled, minimum screen brightness and all equipment deactivated, produced a runtime of 172 minutes. With DVD playback, the battery puts in an average performance, giving up after pretty much exactly 100 minutes. So this should be enough for a film of standard length, running to about 90 minutes. Possibly a few more minutes of run time could be coaxed from the battery if the screen brightness was turned down some more. 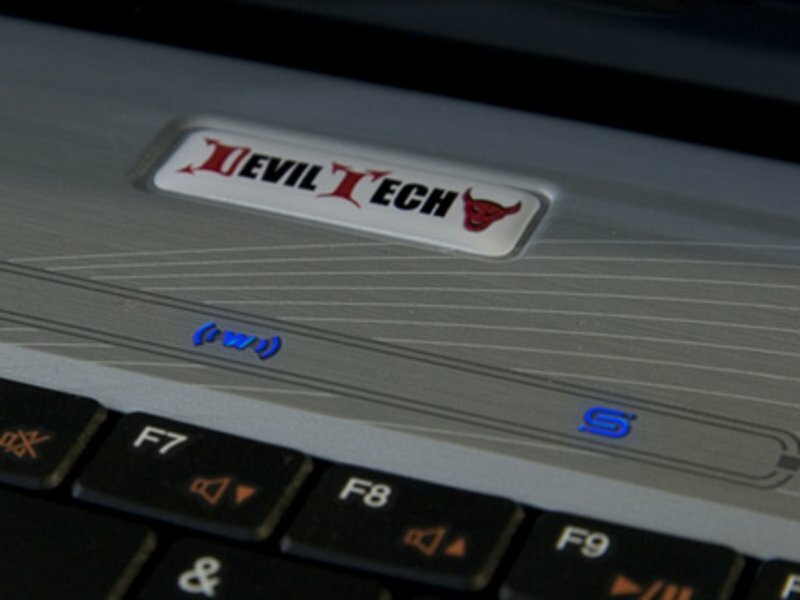 DevilTech has delivered a reasonably priced and yet very high-performance gaming notebook for this size and weight category. It comes in at under €1000 - depending on the configuration, of course. The test model which was made available to us costs around €997, according to the manufacturer's website, in our opinion a good price for the performance it offers. However we would definitely recommend paying the additional cost of €29 for a 320 GB, 7,200 rpm hard drive. For its size of 15.6 inches and a weight of about 2.72kg, the Fire DTX has a number of things that other notebooks in this price range would struggle to offer. First and foremost is the hardware, which is the latest technology, such as the four-core Intel processor. 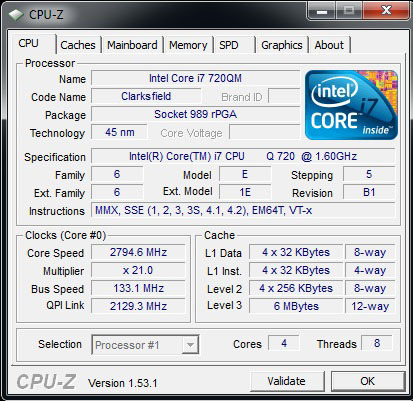 This is a 1.6 GHz Core i7 720QM with an integrated Turbo Boost feature, which automatically shuts off unused cores while at the same time overclocking the cores that are in use, in order to maximise performance. 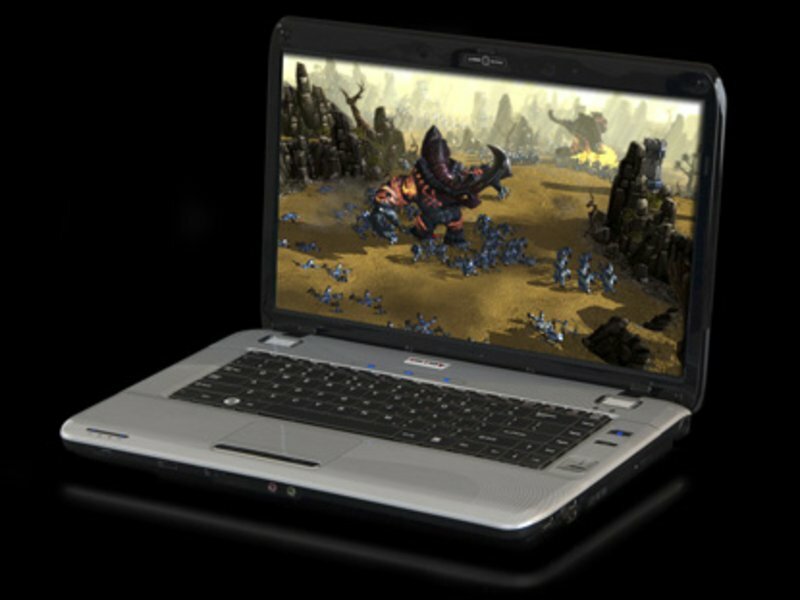 The Fire DTX also comes with a DirectX 11 capable ATI Radeon HD 5650 with 1024 MB of DDR3 memory, which is newly arrived on the market. In addition there is 4 GB DDR3 RAM (which can be upgraded to 8 GB), a 320 GB hard drive (a Seagate ST9320325AS, sadly with only 5,400 rpm), and a glossy, full HD, 15.6-inch widescreen display with LED backlighting and a maximum resolution of 1920 x 1080 pixels. The system is designed with gaming in mind; the weakest link, according to the Windows performance index, is most probably the hard drive. The sound could also be better. But as we have already stated throughout this review, the whole package is really very generous for this price range. Overall we can say that the DevilTech Fire DTX is a high-performance gaming notebook with a few minor weaknesses, which can easily be forgiven in light of the good performance, specs and price. DevilTech also offers 2 years of DevilCare, which is to say a 2 year warranty. For an additional cost of €150 this can be extended to 3 years. High performance packed into a small space. DevilTech's latest creation, measuring 15.6 inches across and weighing 2.7kg. 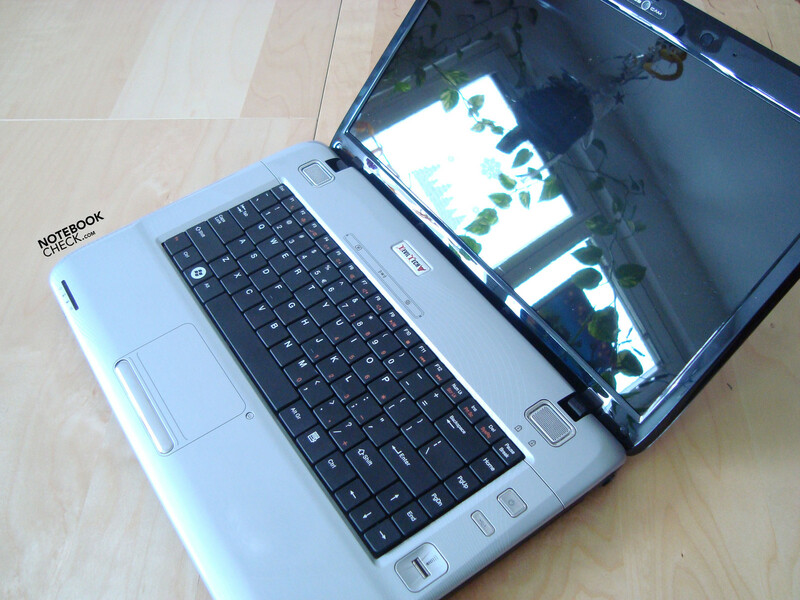 We would have liked to have find a subwoofer on the underside of the laptop, but we suppose you can't have everything. ... and can be seen in the dark thanks to the LED backlighting. 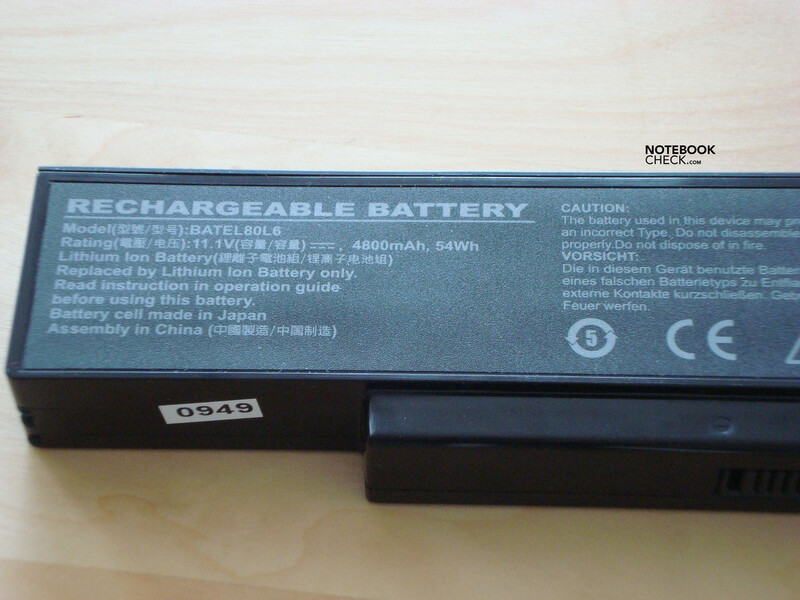 ... with a capacity of 54 Wh (11.1 Volts and 4800 mAh). 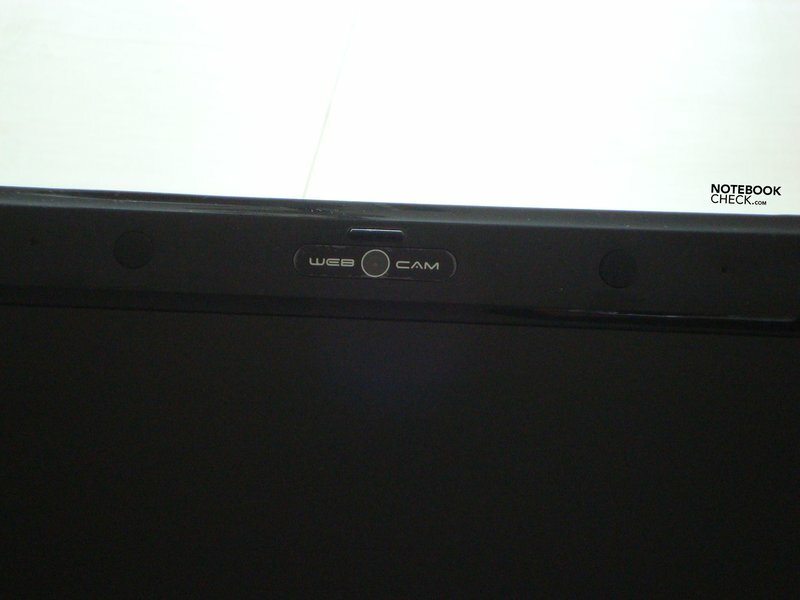 There is also a webcam and microphone array integrated into the lid. The Fire DTX offers a great deal of processing power, thanks to the hardware it is equipped with, and for less than €1000. But we recommend choosing a hard drive with 7,200 rpm. It should be worth the additional cost of €29. The two small loudspeakers are positioned above the keyboard to the left and right. ... which also has a pattern of lines running through it. They have christened it the Fire DTX. ... in the 15-inch notebook class. ... or the one-line Enter key. These issues just take a little time to get used to. Aside from the layout, the keyboard is convincing. This gaming set-up is available for a total of €997. That includes a 2-year warranty. High performance packed into a 15.6-inch notebook is very nice. There is more processing power in this small case than in many desktop computers... and all for €997. For one thing, an integrated WLAN module as standard. A notebook without WLAN as standard is like a car without an airbag as standard. 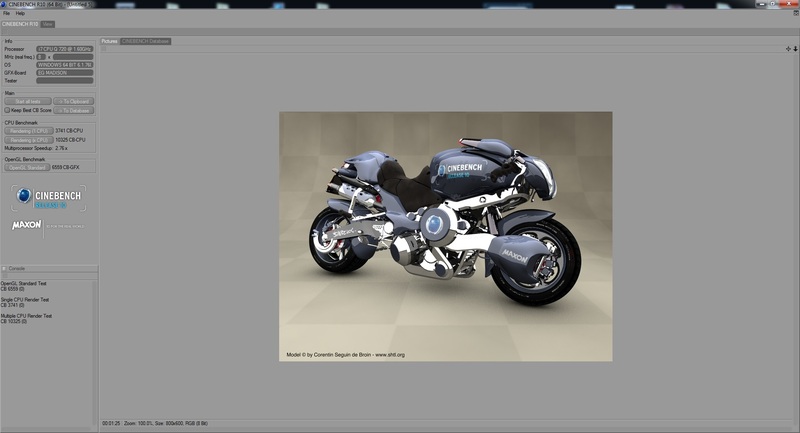 A full HD screen with 1920 x 1080 resolution on a 15-inch laptop is almost too good. Though it makes the pictures razor sharp, it also makes playing Modern Warfare 2 with the maximum resolution very tiring. The competition has not been idle. 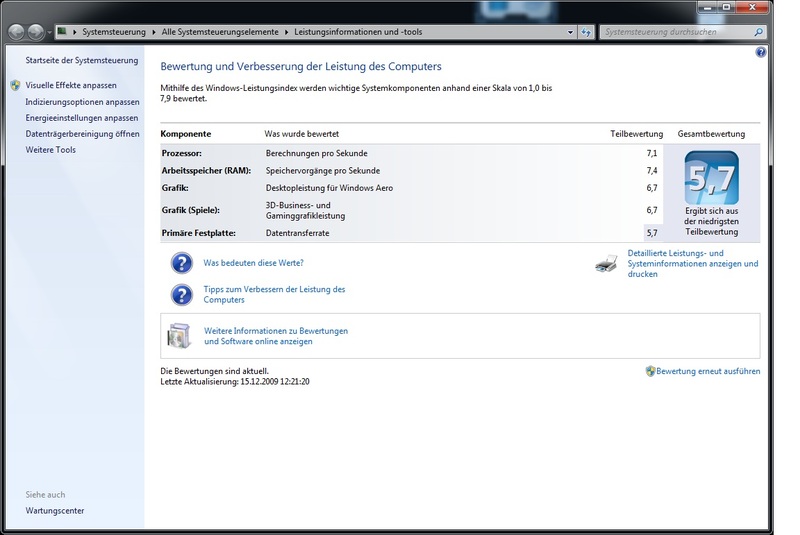 For instance the Acer Aspire 5740G with Core i5 and the ATI 5650 is already in the starting blocks. 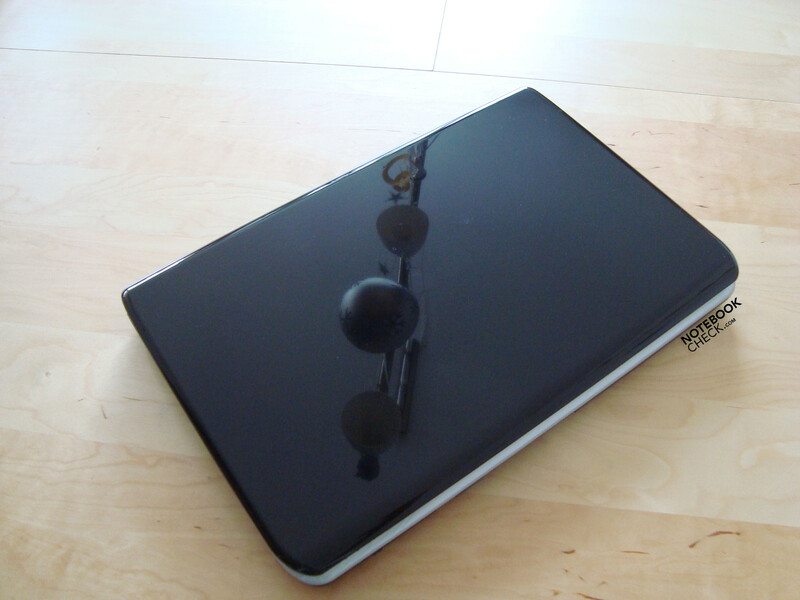 You might also consider nVidia's compact notebooks which come with the GeForce GTS 250M, for example the MSI GT 640.